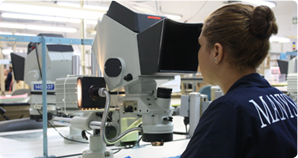 Great savings due to lower labor costs and fixed rates.Mexico’s geographic location presents a competitive advantage to all companies for manufacturing operations abroad. 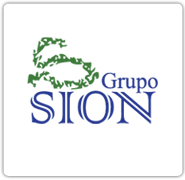 Grupo SION on the Internet. We hope this electronic glimpse of our corporation gives you an idea of who we are and what we are about. 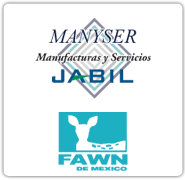 In a nutshell, we are a corporation with over 15 years of experience providing shelter services to foreign companies that would like to have their products manufactured, assembled, reworked or quality inspected in Mexico. 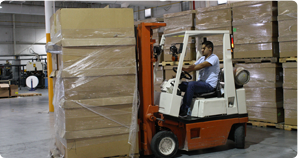 In order to provide our customers with the best possible experience in foreign investment in Mexico, we specialize in providing the complete services package composed of buildings and facilities, human resources, administration and finances, legal and customs requirements, shipping, transportation and storage. These are all the elements necessary to ease our customers’ introduction in Mexico, maximize resources, and provide effective ways of savings and profitability. 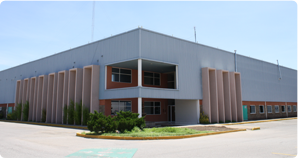 Our main offices are located at the Industrial Complex in the city of Chihuahua, Chih., Mexico. What does all this mean to you? 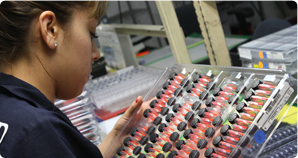 It means that with Grupo SION you are much more likely to get just what you came to Mexico for: achieve your production requirements at a lower cost, with a higher quality, delivery reliability, and an increased production flexibility for long periods of time. After you have had a chance to look us over, we think you will find us to be one of the best values in shelter services providers in Mexico today. We invite you to look around this site and get familiar with us and what we have to offer. If you need more information, e-mail (support@gruposion.com.mx) us or give us a call (52 (614) 481-4666), we will be pleased to assist you. Thanks for visiting!